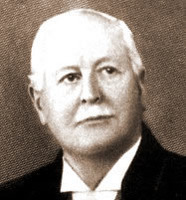 FOSTER, Sir GEORGE EULAS, educator, temperance advocate, politician, and businessman; b. 3 Sept. 1847 in Wakefield Parish, N.B., seventh child of John Foster and Margaret Heine; m. first 2 July 1889 Adeline Davis*, former wife of Daniel Black Chisholm, in Chicago; m. secondly 9 Dec. 1920 Jessie Allan in Geneva; there were no children of either marriage; d. 30 Dec. 1931 in Ottawa. When he was only 15, Foster took on the task of organizing a local school with 25 or 30 pupils, whom he instructed though he had no formal qualifications. Then, in 1865, after two years as a student in Studholm Parish, he won a scholarship to attend the University of New Brunswick in Fredericton, beating out future politician William Pugsley* for the award. The institution was small, with no more than 40 students and four professors, including the president, William Brydone Jack*, who was responsible for mathematics, natural philosophy, and astronomy. The other three taught classics, English and French literature, and the natural sciences. Foster graduated with a ba in 1868 and took a post as teacher in Grand Falls, where he earned $600 for the session. Over the next three years he taught at different schools in the Fredericton area. In 1871, while principal at the Girls’ High School in the provincial capital, he was offered the chair in classical literature and history at his alma mater. Before taking up the position, Foster spent the 1872–73 academic year at the University of Edinburgh studying Latin, Greek, and English and the following summer in Heidelberg, Germany. 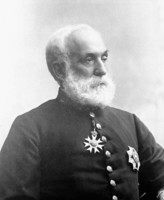 After returning to Fredericton, he maintained his commitment to the temperance cause, joining both the Sons of Temperance and the British Templars, and in 1874 he became grand templar of the Grand Lodge of New Brunswick. His time at the university was not wholly satisfying, largely because two of his colleagues in the small, tight-knit faculty, the president and Loring Woart Bailey*, the professor of natural sciences, were drinkers. Firmly convinced that “my life work lay in a less restrained sphere of action,” he resigned in late 1878. Foster had already become well known as a public lecturer, and in the new year he started afresh as a platform speaker for the temperance cause. He left Fredericton on 2 Jan. 1879 “with regrets and tears” and delivered an address in Bangor, Maine, the next day. Before the month was out he had spoken in other centres in the state and in New Hampshire, Connecticut, Massachusetts, and New York. By year’s end he had made 162 speeches, travelled more than 10,000 miles, and earned $1,550. The following year saw him give 132 addresses and cover 14,000 miles on behalf of Prohibition. By the end of 1881 he had gone as far afield as Tennessee, Kansas, and Wisconsin. He was now 34 years old, and it was time for another change. While at the University of New Brunswick, Foster had struck up a friendship with a fellow temperance devotee, Lieutenant Governor Samuel Leonard Tilley*. In 1882 Tilley, now finance minister in Sir John A. Macdonald*’s government, asked Foster to run for Kings in the federal general election. The seat was currently held by James Domville*, a Conservative whose habits, as Foster put it, “did not commend themselves to the Temperance wing of the electorate.” Campaigning as an independent Conservative, Foster won the riding; Domville contested the results, alleging bribery and undue influence, and the June election was voided, but Foster was again elected in November, this time with a larger majority. Not completely done with temperance advocacy, he took several days off, while preparing for the opening of parliament in January 1883, to give ten speeches in Michigan. But now his main business was to look after his constituency and loyally support the Macdonald government. Two years later Tilley left the cabinet, opening up a place for a New Brunswicker. Foster was sworn in as minister of the departments of marine and fisheries on 10 December; he won re-election in Kings at the end of the month. He took on the job just in time to become involved in another round of the perennial dispute with the United States over the fisheries. The preceding July the American Congress had abrogated the relevant clauses in the Treaty of Washington (1871), reopening the question of whether American fishermen had access to Canadian ports for commercial purposes, such as buying bait or trans-shipping their catches. Foster’s assignment was to pilot Bill 136, which denied that right, through the House of Commons against howls of protest from the fishermen and the United States government. In 1886–87 another marine dispute developed when American revenue cruisers seized a number of Canadian ships for sealing in the Bering Sea. 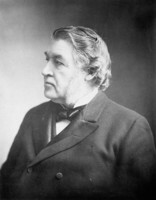 At the end of 1887 Foster and the minister of justice, John Sparrow David Thompson*, were in Washington, assisting Sir Charles Tupper*, the Canadian delegate to an Anglo–American joint commission that was trying to resolve the marine disputes and other troublesome issues in Canadian–American relations. By early spring the next year the work was complete, and a new treaty had been accepted by both the United Kingdom and Canada. But the United States Senate rejected it, and a modus vivendi which the commission had worked out as a temporary fallback position came into force. 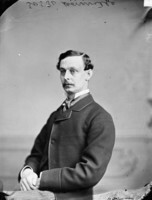 Foster’s primary duty as minister of finance was to defend and promote the Macdonald government’s National Policy. He did so with vigour and flair, summoning all the oratorical skills he had acquired on the temperance circuit to counter the thundering assaults of Sir Richard John Cartwright*, the Liberals’ finance critic. But he did much more. 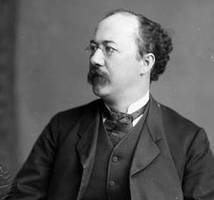 He argued for subsidies for distinctly Canadian steamship lines on the Atlantic and the Pacific to encourage trade. In 1890 he visited the West Indies to promote commerce in natural products between the islands and Canada. Two years later he and Thompson travelled to Washington for talks about a new trade agreement with the United States. They returned home empty-handed. 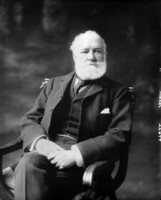 As minster of finance, Foster also assumed oversight of the revision of the Bank Act that had been initiated by Macdonald and was being carried out by Deputy Finance Minister John Mortimer Courtney*, and he was responsible for the establishment of Trade and Commerce as a separate department in 1892. Macdonald had died the previous year, shortly after his final electoral victory. 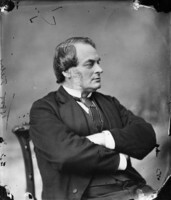 In the turbulent politics of his successors’ governments between 1891 and 1896 Foster remained a steady hand in Finance under four prime ministers: Sir John Joseph Caldwell Abbott*, Thompson, Sir Mackenzie Bowell*, and Tupper. He was one of seven cabinet members, the “nest of traitors,” who resigned briefly in January 1896 in protest against Bowell’s leadership [see John Graham Haggart*; John Fisher Wood*]. On 24 April parliament was dissolved, and in the general election that followed on 23 June Foster chose not to run again in Kings, where his old rival, Domville, now contested the seat as a Liberal. Instead, he moved to another New Brunswick riding, York, which he won by a large majority. But Wilfrid Laurier*’s Liberal Party had achieved a decisive victory, and Foster now found himself in opposition. He chose yet another seat, Saint John City, in the federal election of November 1900 and lost by nearly 1,000 votes to Laurier’s minister of railways and canals, Andrew George Blair*. Months earlier, on 26 April, he and Addie had seen their Ottawa house go up in flames when a large fire in Hull (Gatineau), Que., crossed the river and destroyed much of Victoria ward. 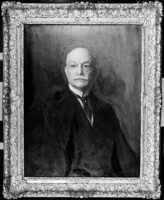 The Fosters moved to Toronto, and in 1901 he became general manager of the Union Trust Company, an investment agency of the Independent Order of Foresters [see Oronhyatekha*]. 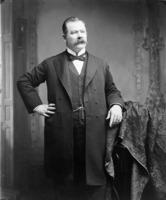 The following year Foster joined the new leader of the Conservative Party, Robert Laird Borden, on an extensive tour of western Canada. 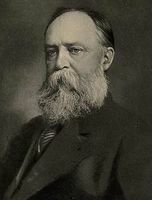 In 1903 the death of the member for Ontario North opened up the seat, and Foster ran in the March by-election. But, struck down by illness before his nomination meeting and a stranger in the constituency, he lost the contest by some 200 votes. That fall he went to England to help leading British politician and former colonial secretary Joseph Chamberlain, who had headed the British delegation to the 1887 commission in Washington, with his campaign for preferential tariffs within the empire. Foster delivered more than three dozen speeches in cities throughout the United Kingdom, which were usually well received. 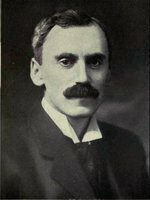 In the general election of 1904 Foster tried again, running in the new constituency of Toronto North against the city’s mayor and fellow Baptist and prohibitionist, Thomas Urquhart. He won with a small majority and returned to parliament and his role as opposition finance critic. He and Addie once more made their home in Ottawa. It was not an easy time for Foster. 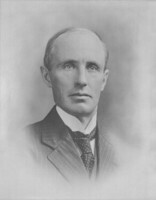 In early 1906 Borden was warned that the Laurier government’s royal commission on life insurance was about to investigate the Independent Order of Foresters in an effort to discredit Foster and other Conservative mps. The inquiry, which presented its report the following year, found that Foster, as manager of the affiliated Union Trust Company, had invested funds in land syndicates in western Canada in which fellow Tories were members and that he, in addition to profiting from the investments, had accepted commissions from the syndicates to turn IOF funds their way. For reasons quite separate from the investigation, the order broke its connection with Union Trust that spring, and Foster resigned from the company. But the damage had been done. He became “Foster the Forester,” who took the brunt of jokes and smears in political circles on both sides of the house, and a Liberal journalist observed that with his well-established reputation for pious pleadings, “all reasonable beings, who drink, smoke, gamble, and generally enjoy life as she is to be had, hate Foster anyhow.” The aftermath of the scandal carried over into the election of 1908 and led to his suing James Alexander Macdonald*, editor of the Toronto Globe, for libel, a case he subsequently lost. The jury found that, while Foster had acted in good faith as manager of Union Trust, his actions were open to criticism and Macdonald was justified in making the statements published in the paper. Nevertheless, Foster was re-elected in Toronto North. In the session that followed he pursued two questions of particular interest to him: naval defence and reform of civil-service appointments. On 29 March 1909, in response to concern in London that British naval supremacy was being challenged by Germany, Foster moved a resolution in the House of Commons calling upon the Canadian government to assume its “proper share of the responsibility and financial burden” of protecting the country’s “exposed coast line and great seaports.” In response, Laurier proposed the organization of a Canadian naval service, initiating debate on the issue; the Naval Service Act was passed a year later. Despite the establishment of a civil-service commission in 1908, Foster continued to criticize the government for its failure to improve the way that public servants were selected. Now in his 64th year, he campaigned extensively in Ontario and the Maritime provinces during the election of 1911. The Laurier government was soundly defeated on 21 September, and in Toronto North Foster amassed a 3,000-vote majority. The most experienced, and one of the oldest, party veterans, he then waited for a call from Borden, the incoming prime minister – and waited, and waited. An emissary came to suggest that he chair the proposed tariff commission, and Foster sent him away. 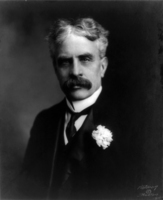 One evening in late September Borden summoned him and offered the secretary of state portfolio. Foster refused and left. Early in October the prime minister called again; this time he asked Foster to take Trade and Commerce, telling him that “high politics” dictated he would not go back to Finance, the post he had held for nearly a decade without a hint of scandal. Instead Borden chose newcomer William Thomas White*. Finally, Foster accepted Trade and Commerce; he was also given a seat on the Treasury Board. The new cabinet was sworn in on 10 October, and the “unseemly squabble” ended. 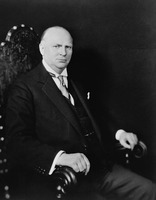 No sooner did Foster find himself back in office than he was in New York reassuring that city’s Canadian Society that “we did not reject Reciprocity because we did not want to trade with you.” He would remain at Trade and Commerce throughout the tenure of Borden’s government and that of his successor, Arthur Meighen*. Between 1912 and 1917, except for an interruption during the early years of World War I, Foster served on and for some years chaired the British royal commission on the natural resources, trade, and legislation of the dominions, commonly known as the dominions royal commission. It took him on an extensive tour of Australia, New Zealand, and the Far East in 1913. Partly for his contribution to the inquiry, he was made a kcmg the following year. Foster was returning from Newfoundland on commission business when the war broke out. Like his fellow ministers, he saw his work expand greatly during the conflict as he endeavoured to facilitate the shipment of Canadian goods and supplies to the Allies, especially the large amount of grain that was dispatched overseas in the later years of the war. As the senior cabinet member, Foster usually replaced Borden when the prime minister was away on trips to Britain and the front. 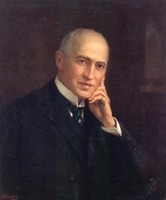 He played a leading role in the foundation of the Honorary Advisory Council for Scientific and Industrial Research (the forerunner of the National Research Council) in 1916 [see Sir John Cunningham McLennan], the introduction of daylight saving time, and the establishment of the Dominion Bureau of Statistics two years later. Just before the introduction of the Military Service Act in parliament in June 1917, Borden had tried to persuade Laurier to join him in a coalition that would support all necessary reinforcement of Canadian manpower at the front. Laurier refused, but Borden, strongly backed by Foster, continued his efforts to form a Union government. At one point late in a summer of frantic negotiations, four western Liberals who were potential colleagues demanded that the prime minister step aside and suggested Foster as a possible replacement. 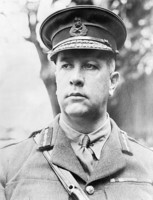 Borden, determined to strengthen the troops at any cost to himself, took the Liberal demand to cabinet. It was promptly and unanimously rejected. On 29 August he presented it to caucus, offering to resign or, if caucus so wished, to step aside in favour of Foster. The caucus was as firm as the cabinet had been, vigorously endorsing Borden as leader and summarily dismissing the western Liberals’ demand. In the fall he succeeded in putting together a Union government that included seven Liberals. In the bitter election campaign fought over the conscription issue late that year, Foster again won his seat in Toronto, this time with a majority of more than 18,000 votes. 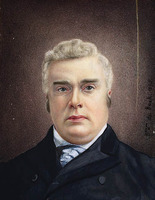 Elsewhere in the country the Unionists were hugely successful, and Borden returned to head a coalition. But Foster was barely able to savour the victory. Shortly before the election he had been struck by a railway car while crossing the tracks at the city’s Union Station. The 70-year-old suffered a broken shoulder blade and collarbone, four broken ribs, and numerous bruises, and he remained in hospital for a month. On 10 June, as final preparations were being made for signing the treaty, Foster received a cable from Borden urging him to return to Ottawa immediately: Addie was gravely ill. “My heart is filled with fear and foreboding,” Foster wrote in his diary. He reached home on the 21st and found his wife “better than I had feared, but thin and worn.” Sifton, who had come back to Ottawa with Borden in May, was dispatched to Versailles to sign the agreement for Canada on 28 June with the minister of justice, Charles Joseph Doherty. Addie, who was suffering from breast cancer, did not recover; she died on 17 September, five days after the Canadian parliament ratified the treaty. Borden, exhausted by years of wartime leadership, went south for an extended vacation, and once again Foster was in charge in Ottawa. He found the responsibility a challenge. The fate of the coalition government was uncertain. Its goal, a successful outcome of the war, had been achieved. But it had no platform or party for the future, and the unity of commitment it had achieved during the conflict fragmented in the first months of peace. Foster led the house during the day but went home in the evening, leaving Doherty in charge. A colleague reported to Borden that neither man could control his fellow Unionists. The prime minister came back at the end of November, still “not in good health.” His doctors urged him to retire, and in mid December he told the governor general and his cabinet that he would be doing so, but he was persuaded to continue as prime minister while he took another long holiday. He met with Foster four days later and talked about an appointment for him as high commissioner in London after the parliamentary session. Borden resumed his vacation, leaving Foster as acting leader, and did not come back until the following May. In early July he announced his resignation. The job of choosing a successor was left to the prime minister, and in due course he picked Meighen, who took office on 10 July. Foster was prevailed upon to remain at Trade and Commerce for another year. In early November 1920 he departed for Geneva, where, with Doherty and Newton Wesley Rowell*, he would represent Canada at the first assembly of the League of Nations. En route he met a friend, Jessie Allan, the daughter of former British mp Sir William Allan, in London. They made an agreement, he recorded in his diary, “which changes the current of my home life profoundly”: they were married in Geneva on 9 December. He was 73 and she 17 years his junior. Foster began his final session as minister of trade and commerce the following February. It had been nearly 39 years since his first election, and he found work in the commons “onerous.” When Meighen reorganized his cabinet in the fall of 1921, Foster retired. He was sworn into the Senate on 23 September. The last decade of Foster’s life was nearly as filled with commitments as his earlier years. Active in the upper house, he also became an advocate for the League of Nations and twice more, in 1924 and 1929, was chosen as one of Canada’s delegates to the annual meeting of the Assembly. In 1925 he succeeded Borden as president of the League of Nations Society in Canada, a position he held until 1929. And as always there was the temperance cause. Often the promotion of one interest led to an opportunity to further the other; in June 1924, for example, a luncheon talk on the league to the Rotary Club of North Bay, Ont., was followed by an evening lecture at the opera house on the evils of alcohol. When time allowed, the Fosters travelled widely, until his declining health curtailed their activities. Foster died in their house on Somerset Street in Ottawa on 30 Dec. 1931. He was in his 85th year. Lady Foster held a private service at home, and then on 2 January, at the request of Prime Minister Richard Bedford Bennett*, there was a public funeral at Chalmers United Church, followed by a lengthy procession along Wellington Street past the parliament buildings, en route to burial in Beechwood Cemetery. George Eulas Foster, after excursions into college teaching and temperance advocacy, found his life’s work in politics. For all but three years between 1882 and 1921 he served in the House of Commons. During much of that time, from 1885 to 1896 and again from 1911 to 1921, he was a minister of the crown. His rhetorical skills, perfected early in life, made him a powerful speaker and ardent defender of his party’s cause both on the hustings and from his desk in the commons. He never became party leader or prime minister, too young at the earliest opportunities after Macdonald’s death and not young enough to challenge Borden. But in his long and dedicated career as minister of finance and then as the founding minister in trade and commerce, Sir George Foster served his country well. 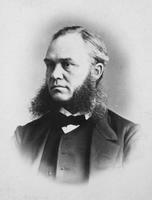 Sir George Eulas Foster is the author of The Canada temperance manual and prohibitionist’s handbook (Toronto, 1881). A selection of his speeches and articles, edited by Arnold Winterbotham, was issued as Canadian addresses (Toronto and London, 1914). His budget speeches and many of his other political and temperance addresses have also appeared in print. In 1926 he delivered the first Josiah Wood* Lectures at Mount Allison Univ. in Sackville, N.B., which were published with the title Citizenship (Sackville, 1926). His papers, which include an unfinished autobiography, diaries, extensive correspondence, and other material, are held by LAC as the George Foster fonds (R4815-0-8). A full-length biography, commissioned by Lady Foster and based on these papers, is W. S. Wallace, The memoirs of the Rt. Hon. 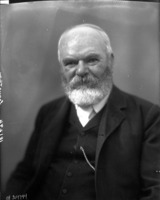 Sir George Foster, p.c., g.c.m.g. (Toronto, 1933). LAC, R6113-33-3, vol.351, nos.6280–82. R. C. Brown, Canada’s National Policy, 1883–1900: a study in Canadian-American relations (Princeton, N.J., 1964); Robert Laird Borden: a biography (2v., Toronto, 1975–80). Can., House of Commons, Debates. Canadian annual rev., 1911. An Eyewitness, “Great Hull fire of 1900,” Outaouais Heritage WebMagazine: outaouais.quebecheritageweb.com/article/great-hull-fire-1900 (consulted 13 Oct. 2011). 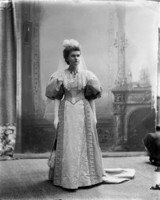 [I. M. Marjoribanks Hamilton-Gordon, Marchioness of] Aberdeen [and Temair], The Canadian journal of Lady Aberdeen, 1893–1898, ed. J. T. Saywell (Toronto, 1960). National Research Council of Can., Div. of Building Research, Fire study (25v., Ottawa, 1960–70), 7 (G. W. Shorter, Ottawa-Hull fire of 1900, 1962). C. P. Stacey, Canada and the age of conflict: a history of Canadian external policies (2v., Toronto, 1977–81), 1. Robert Craig Brown, “FOSTER, SIR GEORGE EULAS,” in Dictionary of Canadian Biography, vol. 16, University of Toronto/Université Laval, 2003–, accessed April 19, 2019, http://www.biographi.ca/en/bio/foster_george_eulas_16E.html.